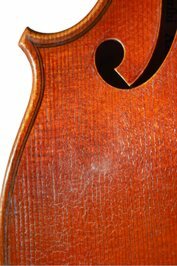 Because my ground and varnish are, in my opinion, so near to those of the classical makers, I believe my work currently presents the closest alternative to highly-priced antique instruments. "I have been investigating Christoph Götting’s varnishes for many years. 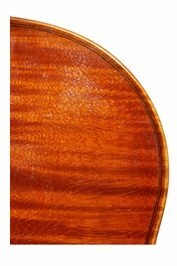 His approach and his deep knowledge of both chemistry and the preparation of the finest violin varnishes make comparison appropriate with prominent historical products. 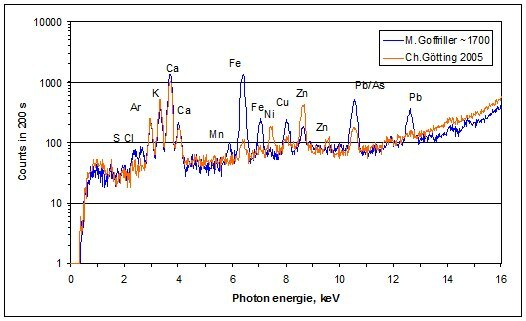 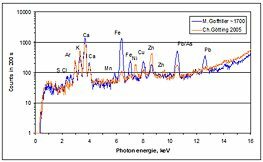 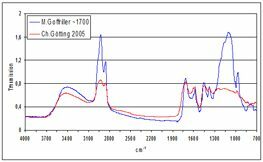 Similarities in the X-ray spectra of the elemental analysis as well as of the fingerprint of organic materials shown by infrared spectroscopy support Götting’s methods of following the old masters." Detail pictures of a Gotting violin from 2012. 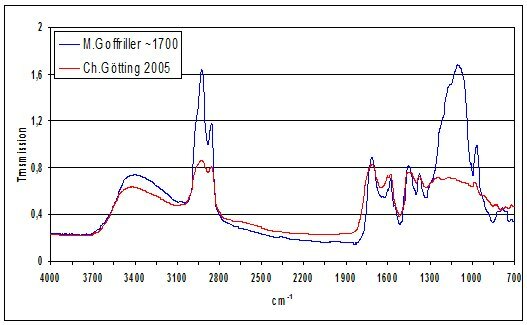 This surface texture was not artificially manipulated.. 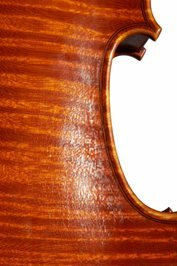 It happens naturally, merely under the influence of moisture and is as good as identical to the surfaces of the best classical varnishes (when they survived unpolished.) 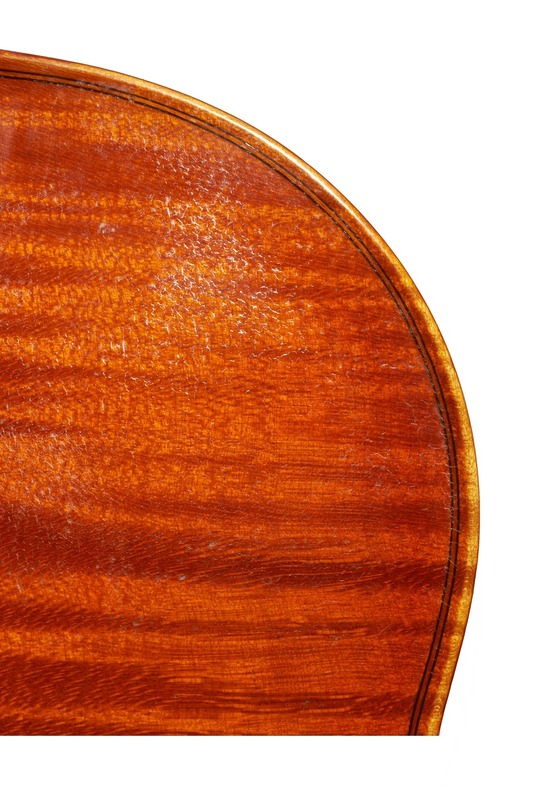 This shows that the consistency of my varnish is very similar to the best old.